London's Gatwick is all set to add new routes to two of Southeast Asia's most popular tourist destinations - Ho Chi Minh City and Hanoi in Vietnam. The flights, being launched by Vietnam Airlines, will start operating in December. 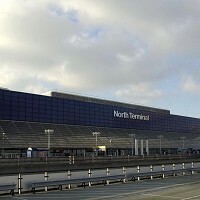 Four weekly flights will be operated from Gatwick's North Terminal. British holidaymakers will now have the option of flying directly to these popular cities on board a Boeing 777-200ER, which can carry 309 passengers at a time. Vietnam is growing in popularity with more than five million holidaymakers exploring the country's tourist hotspots last year. Gatwick's chief executive Stewart Wingate said: "These new long-haul routes are exciting news for Gatwick and for the 90,000 UK holidaymakers who travel to Vietnam each year who, this winter for the first time, will be able to fly direct to Vietnam." This year, more Britons are expected to explore the competitive travel insurance options available in the market and catch their holiday flights to Vietnam.